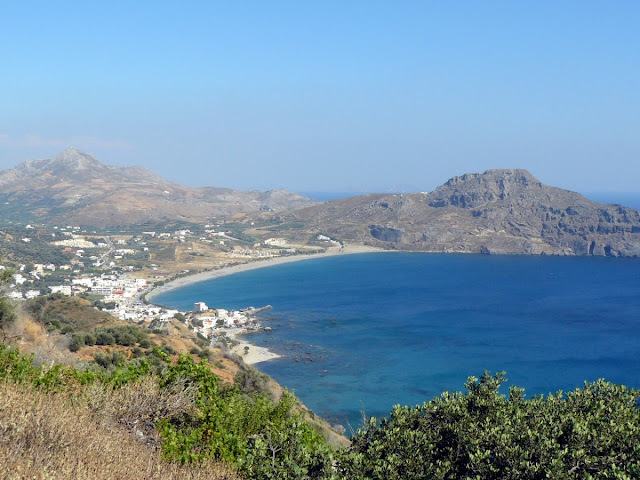 Plakias is a place emerging from the point of view of tourism on the island of Crete, falling short of the high standards of the north and mainly visited by tourism unorganized. Extends with a pleasant promenade filled with shops, market and restaurants that offer idyllic seafood at a very low, even less than half the premises of the north coast. 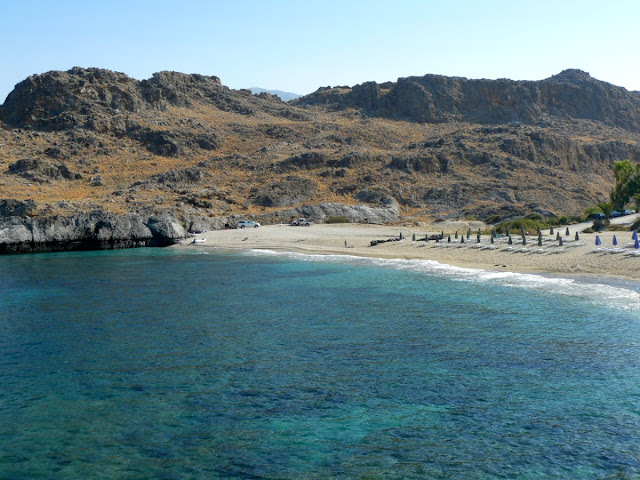 Nestled between towering mountains, has a long pebble beach washed by a crystal clear sea. 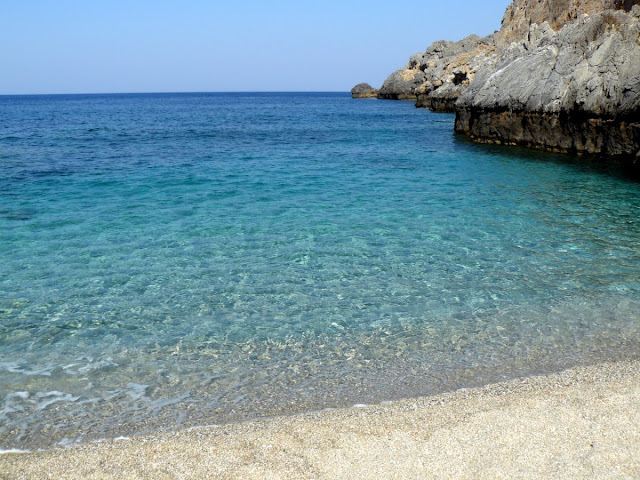 The beautiful beach Skinaria is reached after about 15 minutes by road from the town of Plakias , after traveling a narrow road that winds through the mountains at first, then suddenly plunge to the sea. The small beach is lovely, set between two rocky headlands, with a sea of turquoise colors that are lost in the deep blue sea. 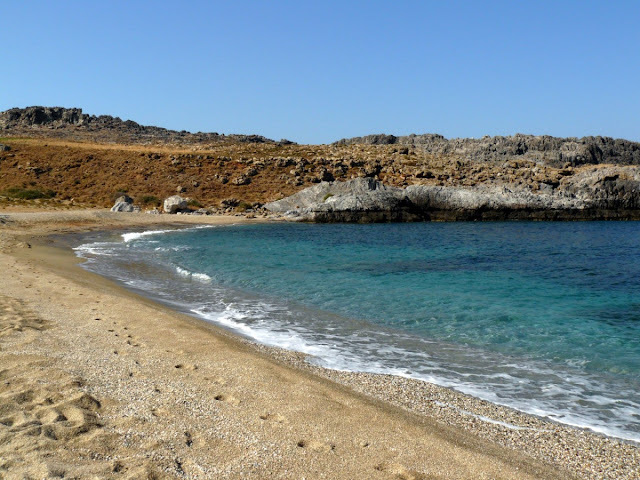 The beach is coarse sand, in some parts mixed with small pebbles, the bottom is just steep and the deep sea just a few meters from the shore. The clarity of the water allows a nice snorkeling along the cliffs, this area is also frequented by diving centers, the beauty of the seabed. Behind the beach there is a car park and a tavern, which provides, inter alia, the beach service.